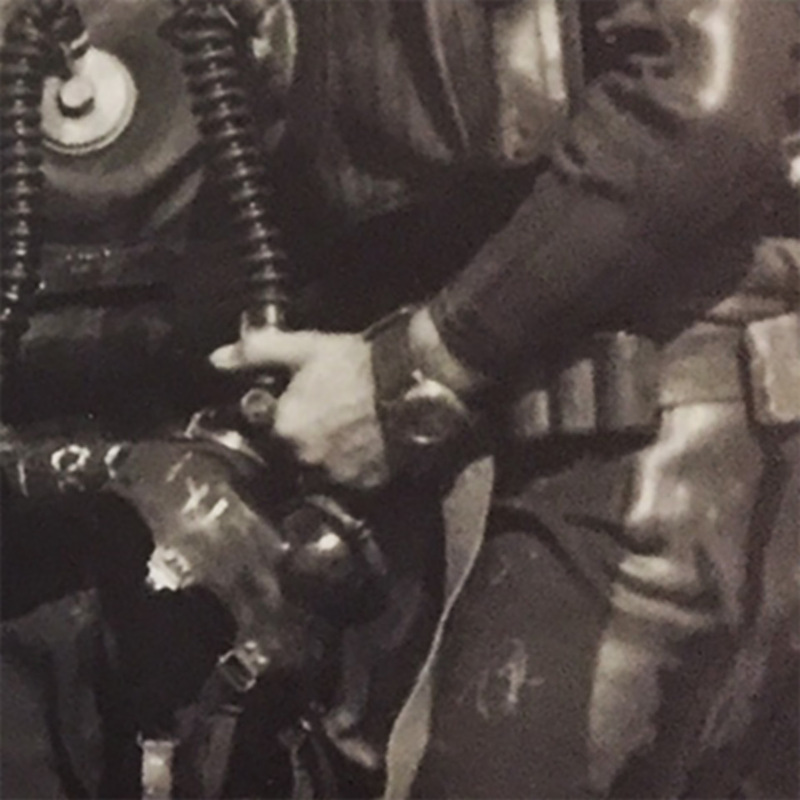 In September 2017, a Swiss friend asked whether I knew of any images of Italian military divers wearing an iconic 6152/1 with crown-protecting device. He had not seen any, and I suddenly realized, neither had I. For some reason, there aren’t any pictures out there and we were wondering why. 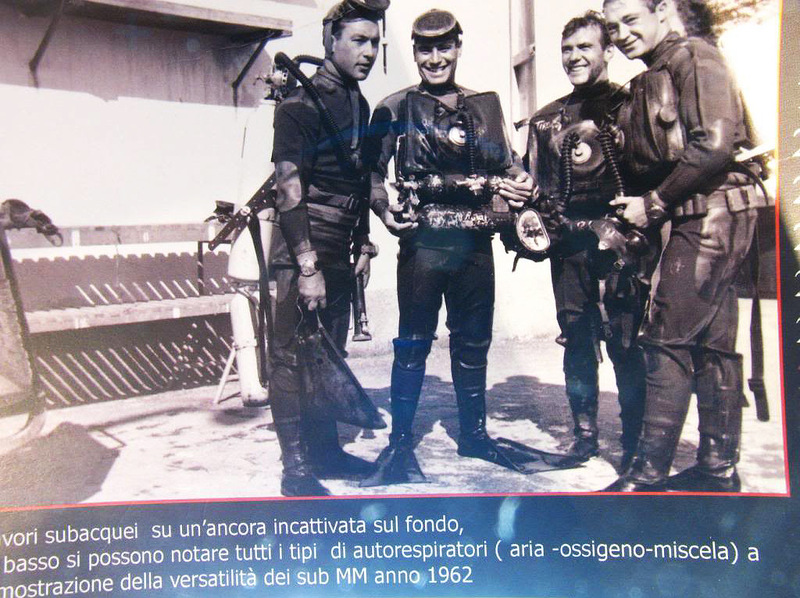 After looking through hundreds of images stored on my computers, I came across a low-res image of four Italian assault swimmers in which one of the divers appeared to be wearing a 6152/1 with crown-protecting device. Eureka, I thought. This picture was simply awesome and needed to be shared, so I sent it straight away via Whatsapp to my friend and posted it on my Instagram @perezcope. Nobody had ever seen anything similar. A few days ago, I received the very same image in a way better resolution and what it shows is actually groundbreaking. The watch clearly features a typical Panerai crown-protecting device… but to my total surprise, the watch appears to be a 3646 rather than a 6152/1. Let’s have a look at some known post-war pictures first. 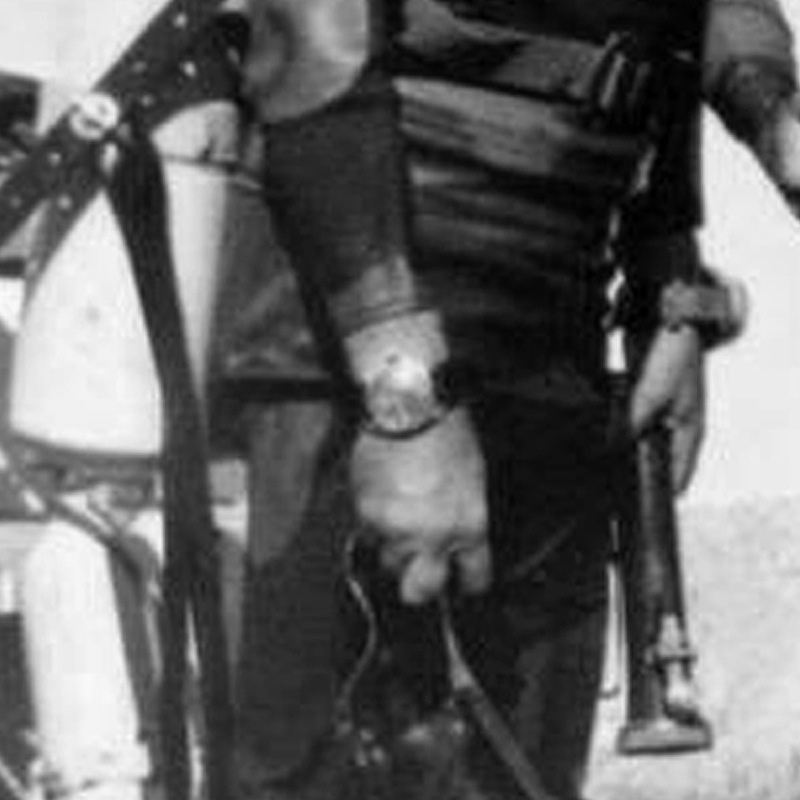 Photos of Italian assault divers are very scarce. After all, they were and continue to be a secret unit. 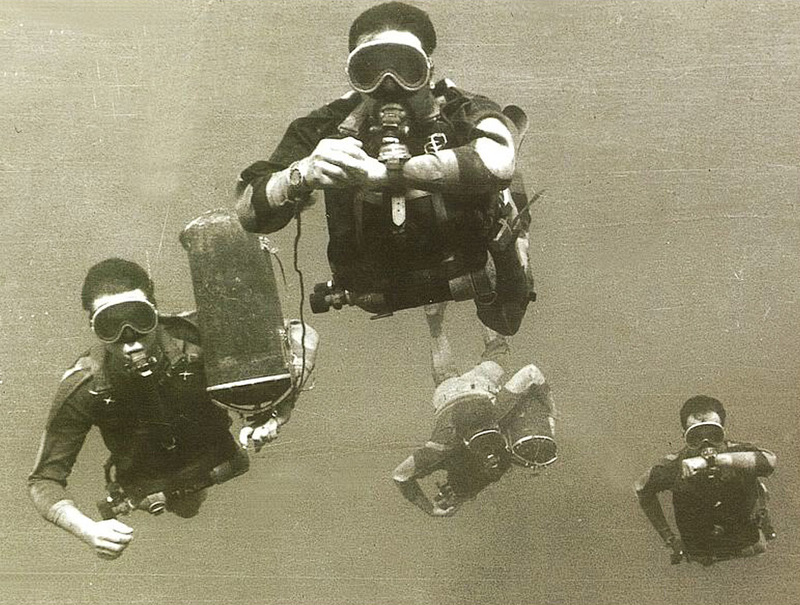 One of the best known pictures of Marina Militare divers in action is the photo below. It was originally printed in an old Panerai company profile from the early 1990s. This photo is not without irony, as the diver in the front is NOT even wearing a “Panerai” watch but instead a standard diving watch with rotating bezel (most certainly an Eterna Super KonTiki). However, the compass on his left wrist is without a doubt a Panerai GPF 4/55. All four divers in this picture are using military rebreathers. A rebreather is a breathing apparatus that recycles the exhaled breath and avoids the creation of bubbles in the water. The next picture is also very interesting. 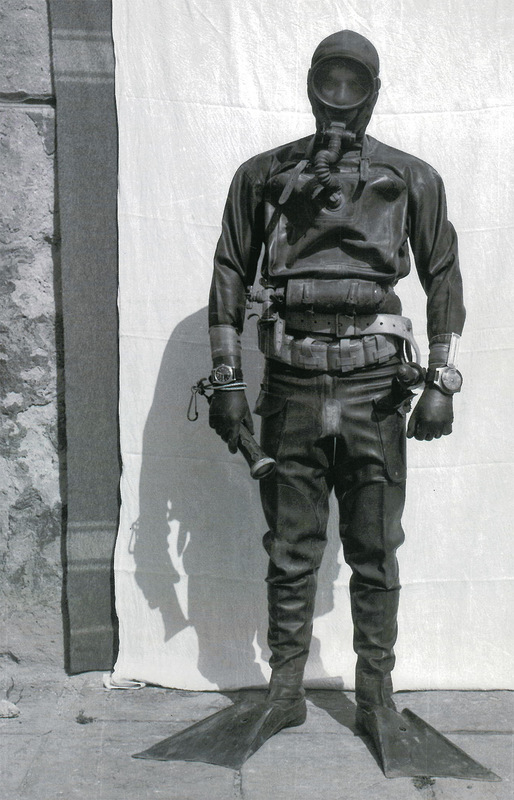 It was found on a calendar and published in the book “Panerai – Una Storia Italiana” and shows an Italian combat diver in full gear wearing a prototype watch (made around 1952, based on Ref. 3646) together with a Panerai compass GPF 4/55 (1955) and a Panerai torch. There are other photos from the 1950/60s published in Panerai related literature but none of them shows a post-war Panerai watch. As already mentioned, after talking to my friend about the lack of 6152/1 images, I started searching my Panerai related photo archives. 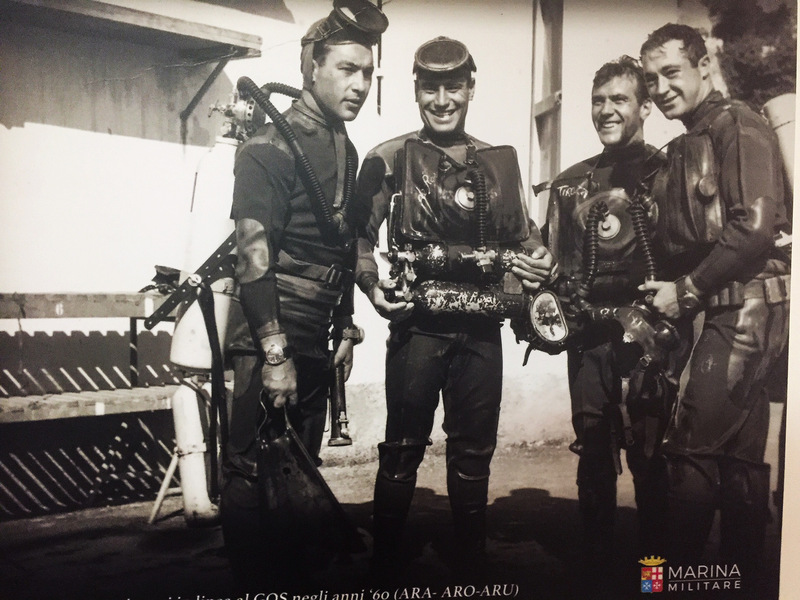 This is when I came across the following image from 1962 of four Italian Navy divers. The guy on the far left is equipped with all kinds of Panerai gadgets. He wears a watch that looks like 6152/1 with crown-protecting device on his right wrist, a Panerai compass on his left wrist and a Panerai torch in his left hand. Interestingly, he is the only one in the group with a compressed air breathing apparatus. The rest is wearing rebreathers. At first I thought the wire lugs are an optical illusion. It was Mario Paci, the former Officine Panerai SpA Engineer and Quality Manager who insisted it had to be a 3646. And indeed, a closer look revealed the wire lugs. It’s incredible! The crown guard is also clearly visible, even the lever which holds down the crown against the case. Another interesting observation is the watch the guy on the far right is wearing. In this better image it looks like a “Transitional” 3646, a modified 3646 with solid lugs. There have been speculations in the past as to whether the crown-protecting device had already been conceived during WW2. I don’t think that this picture can be seen as evidence for such an assumption since it was taken in the 1960s. It is more likely that Giuseppe Panerai, for some reason, tried to recycle old 3646s that were still in service during the 1950/60s. The so-called “Transitional” 3646 is another perfect example for this approach. Outdated 3646s were salvaged and upgraded with 8-day movements and solid lugs. However, this incredible 3646 with crown-protecting device was possibly a one-of-a-kind “prototype”, made perhaps to salvage a watch with a worn out crown tube. Perhaps the 6152/1 was simply too expensive to be used for every application and Giuseppe Panerai wanted to give the Marina Militare more options. As a matter of fact, the Italian Navy started to look for alternatives to Panerai watches since they were not adequate for diving with compressed air. Without a time recorder bezel, it was impossible to keep an eye on maximum depth and decompression times. 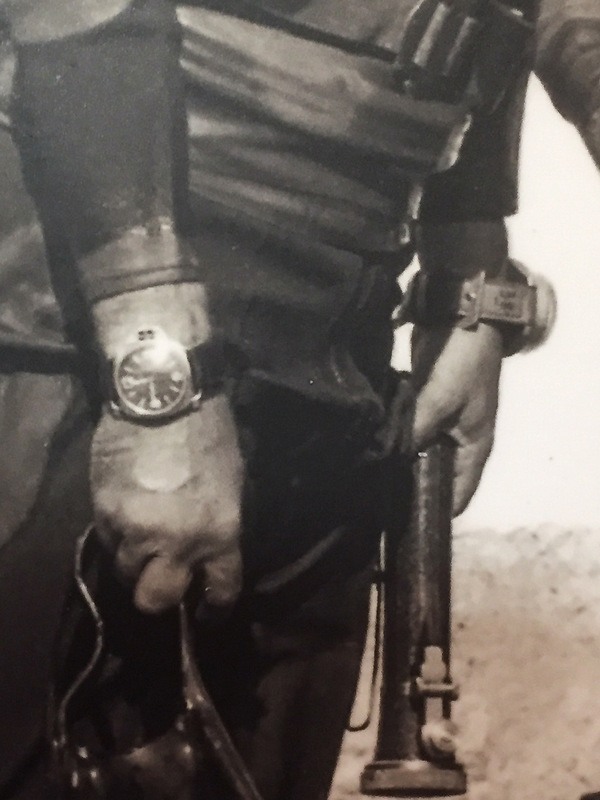 Just recently, six Eterna Super KonTiki with military matriculation numbers surfaced, including photographic evidence that the Marina Militare (COMSUBIN) used these watches in the 1960s. However, there can be no doubt that 6152/1 watches were used. I am in possesion of an official Marina Militare document from 1988 which lists at least 73 Panerai watches that were still in the Italian Navy’s inventory at that time. It’s probably only a matter of time until we find awesome pictures of 6152/1s in action. 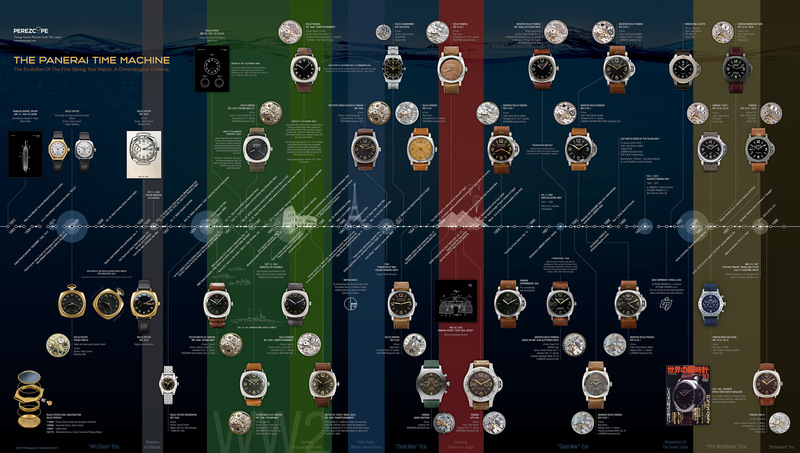 The following timeline shows the true history and evolution of Panerai watches. Please click the graphic to download the highres version.